As you know, I love to decorate my front porch. 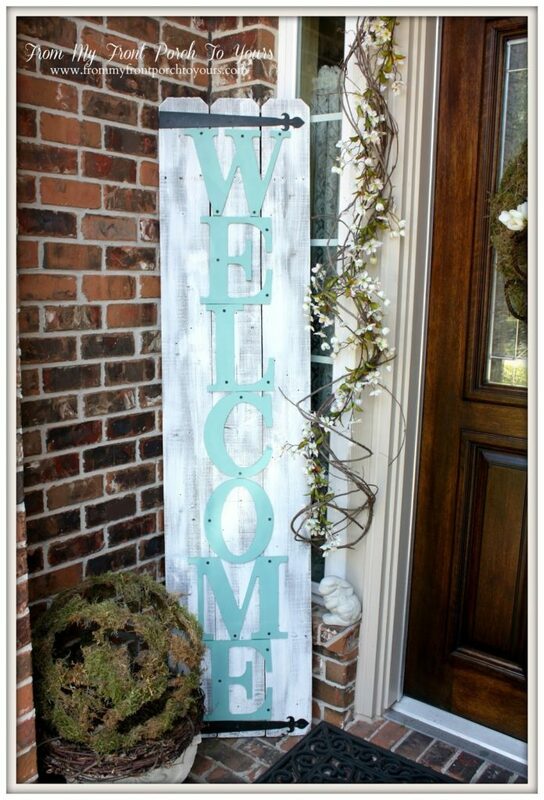 There is almost nothing I love better than to decorate an inviting and welcoming entrance to my home. 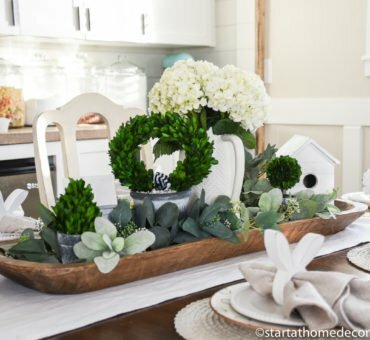 I wanted to share some amazing spring porch decorating that will hopefully provide you with some inspiration of your own! 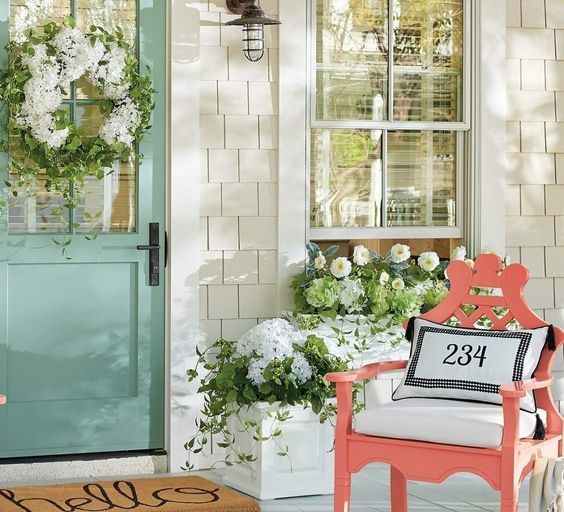 I have no source for my first inspiring porch, but I love the pops of color with the gorgeous white flowers complimenting everything. It looks so inviting! 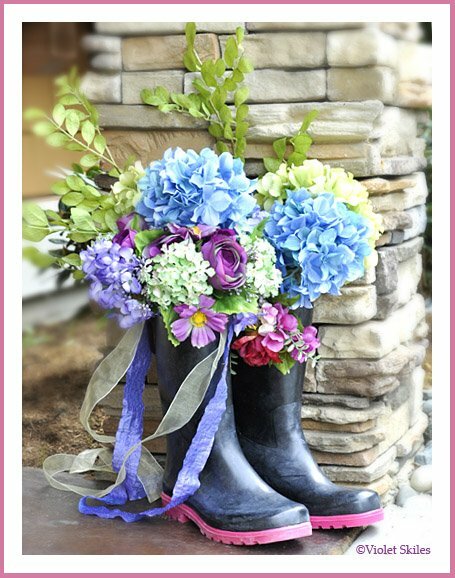 And I love how Violet Skiles uses rain boots for fun spring flower decor. 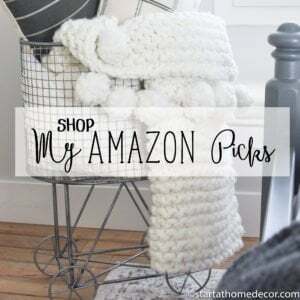 I have seen SO many porches with rain boots on them for decorating and it is just the cutest! This is my front porch before I painted our house. 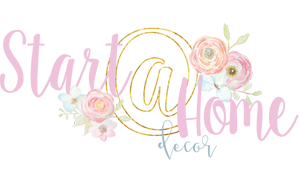 I LOVE the pops of color and especially the bench I made (DIY tutorial here) with the fun hello cutout above. How fun is this! 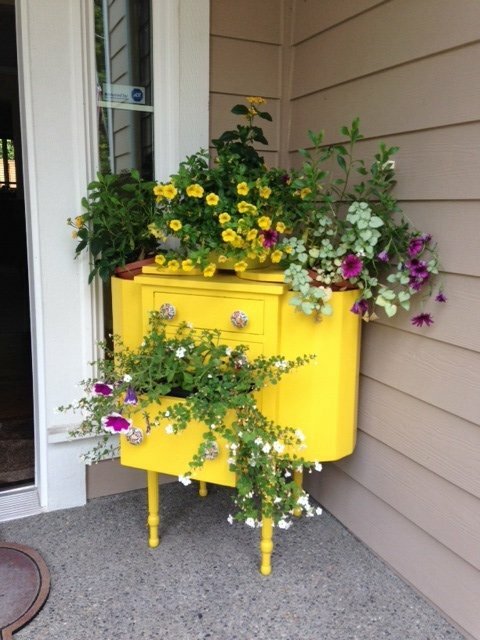 I love that this old cabinet was revamped into an amazing porch planter. 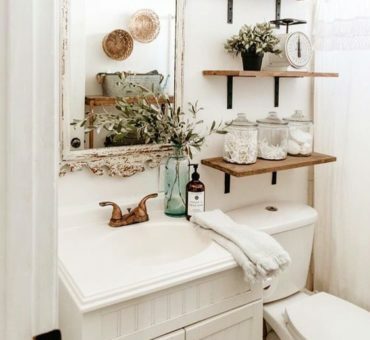 So eye-catching and gorgeous for this space! I would love to be greeted by this display. 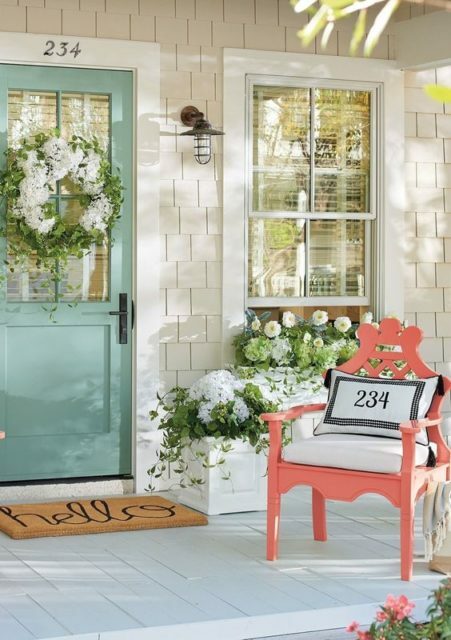 If a little more color is your kind of style, this is a fun porch to try out! Also, I love the colored bench with the hanging planter structure and all of the different pots you could fill it with. 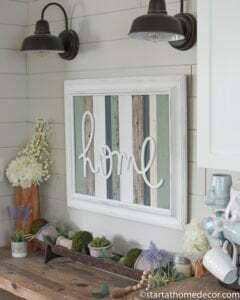 What a fun idea from Jenna Burger. 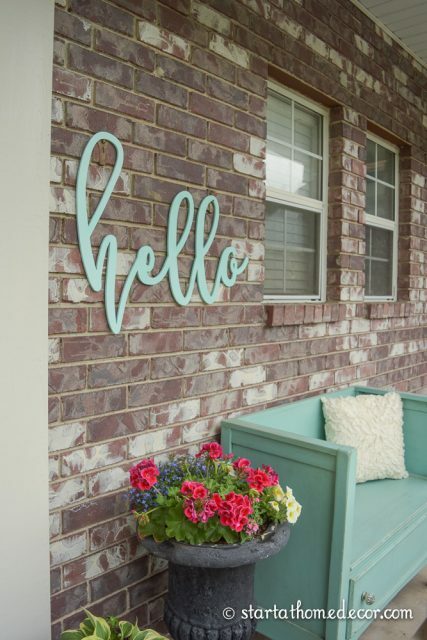 I love this adorable front porch and the big lettered sign. It is so welcoming and inviting with that bright pop of color and vine accents. 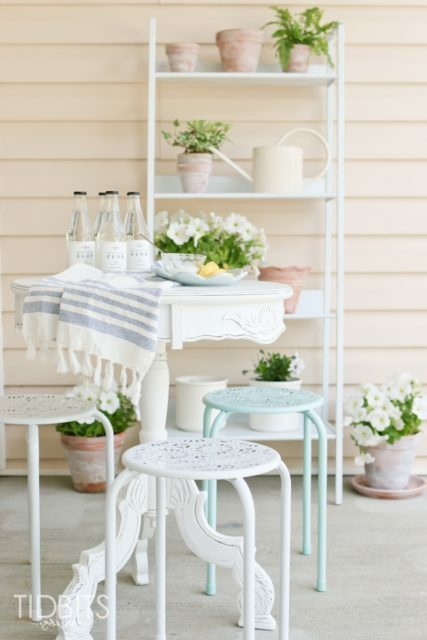 This space from Tidbits is light, bright and airy with its cool colors and shelving features for flower lovers. I especially love that quaint sitting space! And here is another flower display that I think is so fun. 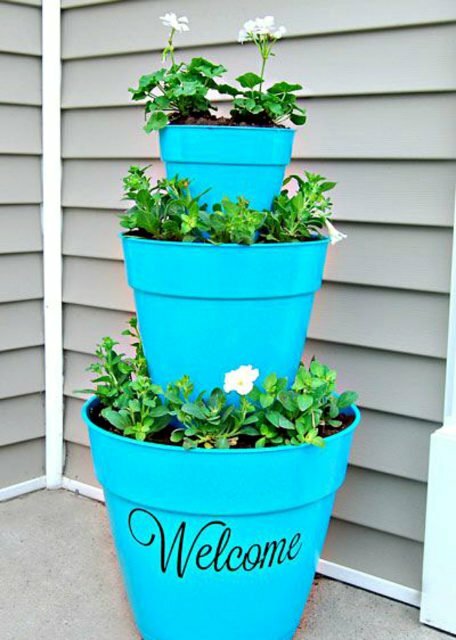 Tiered pots are also really appealing because they elongate your space and make it look full. 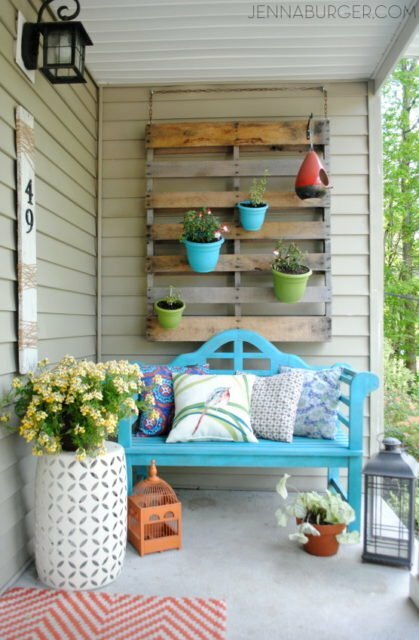 Definitely a fun option to try on your porch! 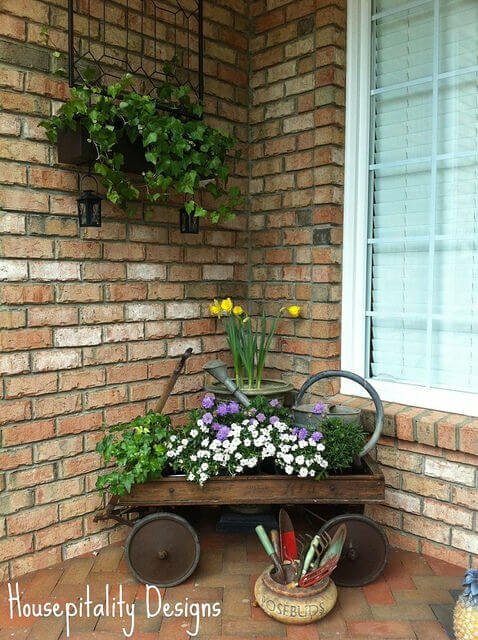 What a cute idea to feature this adorable wagon covered with flowers. The watering can and gardening tools definitely complete this space. 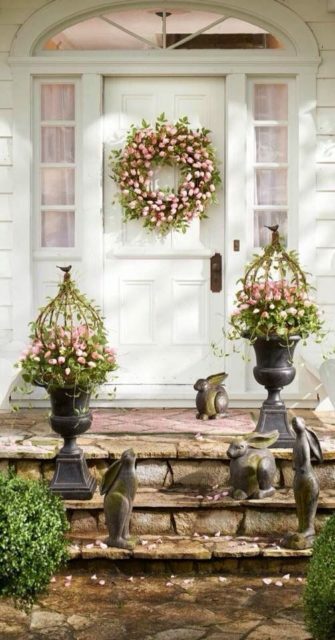 And source unknown for this one, but I love the elegance and simplicity behind the beautiful pink wreath and flower holders. So gorgeous. And of course I had to include our recently painted front porch because I just love the white mixed with all the various pots and planters. 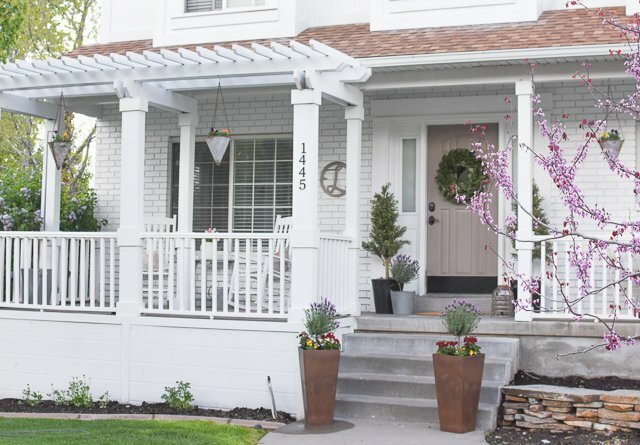 Hanging planters and flower pots are a fun way to spruce up your front porch for spring. You can see where I got my planters and pots here.